In any given year, if the Toyota Corolla isn’t the best-selling car in America, it’s because its big brother, the Camry, edged it out. Yet in today’s market, anyone shopping for the best attributes of the Corolla – affordability, reliability, fuel economy, and safety in a stylish, well-appointed package – would be remiss to not consider Hyundai’s compact car contender, the Elantra. While ‘value’ is the subjective measurement we hope to quantify by the end of this post, pricing is fairly straightforward: while discounts and incentives vary by region and dealership, the 2017 Elantra can be had with an automatic transmission for $18,150, while the Corolla starts at $18,500. The highest trim level Elantra peaks at $22,350 before options, as compared to $22,680 for the most luxurious Corolla. Both the Elantra and Corolla received the coveted Top Safety Pick+ title from the Insurance Institute for Highway Safety (IIHS.) Both vehicles offer advanced safety features like lane-keep assist, forward-collision warning, automatic forward-collision braking, and adaptive cruise control, but only the Elantra is available with blind-spot monitoring and rear-traffic alert. With that being said, the Corolla received higher marks than the Elantra from the National Highway Traffic Safety Administration (NHTSA,) so this category is too close to call. Elantras utilizing Hyundai’s 2-liter, 4-cylinder engine generate 147 horsepower and get an EPA-estimated 29 MPG city and 38 MPG highway. Corollas equipped with Toyota’s 1.8-liter 4-cylinder get 132 horsepower and get identical fuel economy numbers to the Elantra, although the base Corolla only gets 27 MPG city and 36 MG highway. Both vehicles are available in “eco” models that prioritize fuel-efficiency. 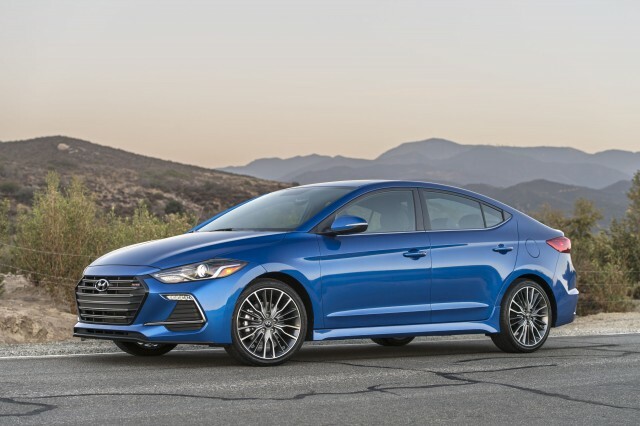 The Elantra Eco, which make 128 horsepower from a turbocharged 1.8-liter 4-cylinder engine, gets an estimated 32 MPG city and 40 MPG city, while Eco Corollas make 140 horsepower and gets 30 MPG city and 42 MPG highway. The Elantra’s 5-year, 60,000-mile bumper-to-bumper warranty and 10-year, 100,000-mile powertrain warranty put the Corolla’s 3-year, 36,000-mile bumper-to-bumper warranty and 5-year, 60,000-mile powertrain warranty to shame. Whatever else you could argue about these two vehicles, the warranty battle is an absolute massacre. The Elantra’s 8-inch touchscreen makes the Corolla’s 6.1-inch screen look tiny, it’s Infinity sound system put the Corolla’s speakers to shame, and the Elantra has Android Auto and Apple CarPlay, while the Corolla has neither. Add in Elantra-exclusive perks like heated and cooled rear seats, and you have a pretty clear winner in the tech department. So if the Elantra costs less than a Corolla, has nearly-identical safety features and fuel efficiency, and comes with possibly the best warranty and standard technology in its segment, why would anyone buy a Corolla? When you Dare to Compare, there’s a good chance you’ll seriously consider making your next car a Hyundai.